No conspiracy theories today. No lashing out on how Valentine's Day is a Hallmark Holiday. No jokes about a bunch of gangsters getting killed back in 1929. 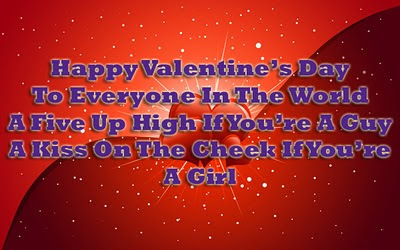 Instead, I have taken on the more daunting task of giving everybody in the world a valentine. Anytime, Doc. You've got a real nice blog there.